Do you know what? This absolutely breaks my heart! Newsflash! We are all creative! It's part of what makes us so wonderfully human. What a lot of us have forgotten is where and how creativity starts. What we do know is that somehow we've become distanced from that amazing creative power. Creativity is incredibly important to all of us. There is a lot of high quality research evidence that shows how creativity can keep us healthy. Really! A recent study showed how creative activity measurably reduced levels of cortisol, the stress hormone. Not only that, it can lift our mood, reduce the amount of pain we experience...the list goes on and on. Creativity is essential in the workplace, too. After all, where is any business without innovation? Why do huge companies invest in creating workplaces that stimulate their employees' creativity? Because they get a great return on that investment! The most exciting thing about creativity is how it can enhance our lives. Imagine the joy of living creatively rather than following the same, tired routine from day to day! I have spent the last thirty years helping people to re-connect with and use their creativity. I've compiled some of my favourite techniques and practices into a free e-book which I would love to share with you. 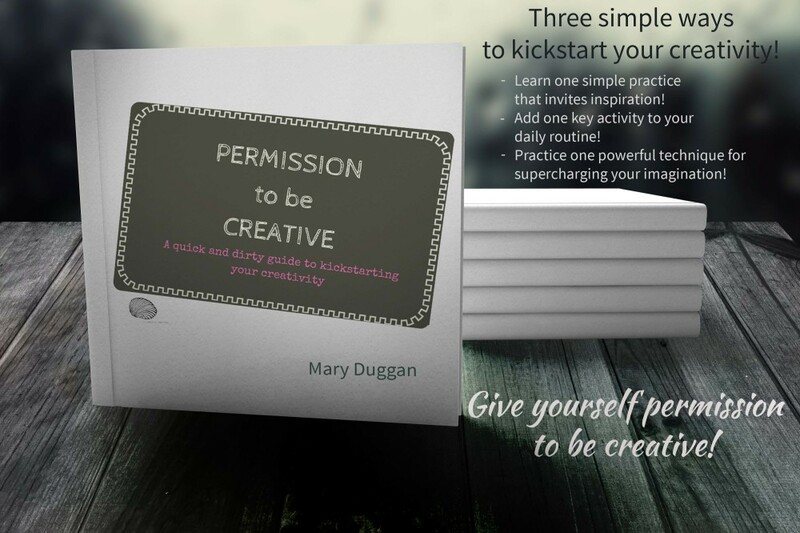 It lets you into three secrets about how to invite creativity into your life. Ready to get creative? Sure you are! Just fill in your details below and click on 'Yes! Give me permission to be creative!' Then your very own copy of my e-book will be winging its way to your inbox. If it doesn't arrive quickly, don't forget to check your spam/junk mail folder! Even better, add [email protected] to your list of safe senders! What's even better is that this will also subscribe you to my weekly newsletter, with inspiring and actionable ideas about personal growth and creativity!